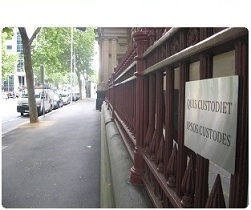 A few weeks ago the Department of Justice quietly added a new website to its collection, at www.courts.vic.gov.au. It seems to replicate material from the various court-websites and also some content from the main site www.justice.vic.gov.au. But, this one has the advantage of combining all court-related information in one place, and logically organised too! Another one for the bookmarks. Seems the author had a bit of break but is back blogging again. Regardless, it seems this blog is one in the quality-not-quantity category, and has some useful information. For starters, I can recommend find your case on Austlii first time, every time for getting even better results from Austlii.